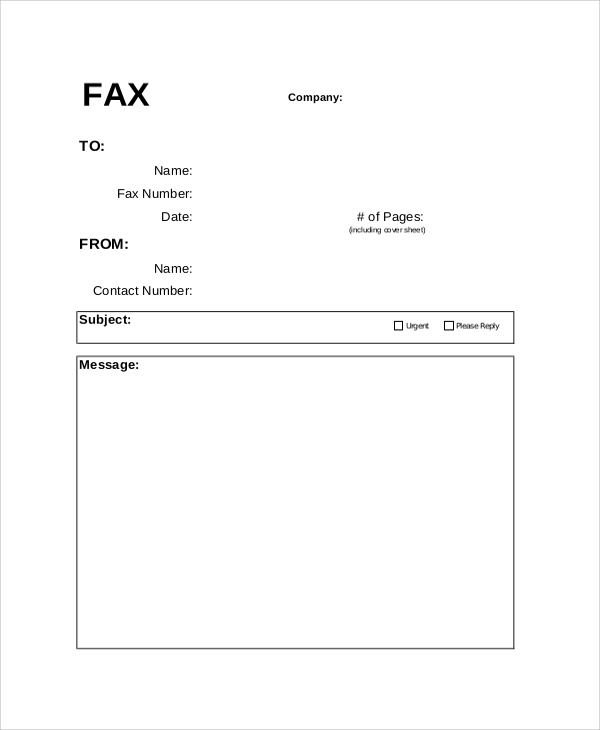 Fax is a traditional form of communication medium in corporate and official places. Most of the faxes are sent with cover letters which describe the source and destination of the fax, the number of pages or documents sent with it and other necessary details. 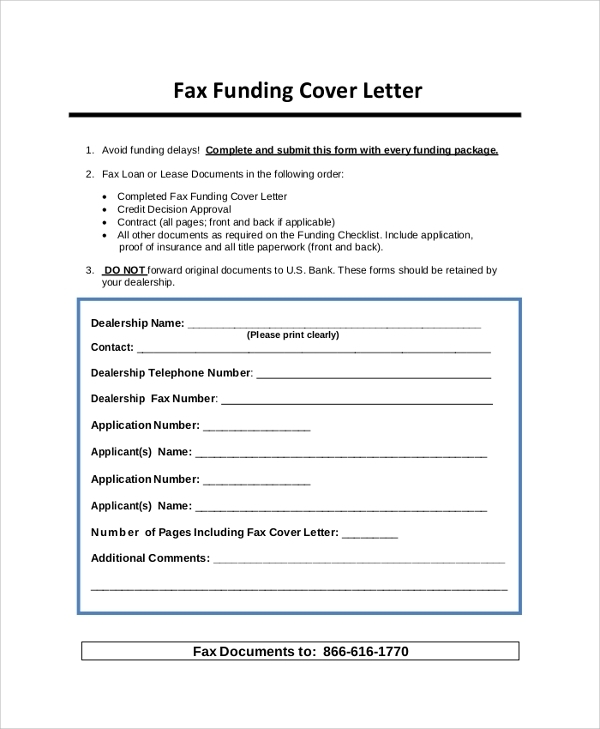 The following Fax Cover Letter Samples and templates are useful for sending different types of faxes such as commercial faxes, resume faxes, confidential faxes, funding faxes and so on. This is a blank template for a medical fax cover letter. It contains fields to write to and from data, patient name and identifying details, reason for release, information released, and the total number of pages. It is sent from the company to the hospital to release critical medical data about an employee during emergency. This is a cover letter that should be faxed while sending secure and secret documents and data. It has a minimum number of fields such as from, date, the number of pages, initials and a declaration. It is useful for sending medical data and secret information. You may also see the Fax Cover Sheets. This is a cover letter template for fax funding. It contains fields for dealership name, contact information, applicant name, the total number of pages in fax funding with documents and additional comments. It is useful during claiming insurance amount by providing all the required documents. Fax cover letters are almost mandatory to be sent with every fax especially when they are going to different corporate offices and official places. 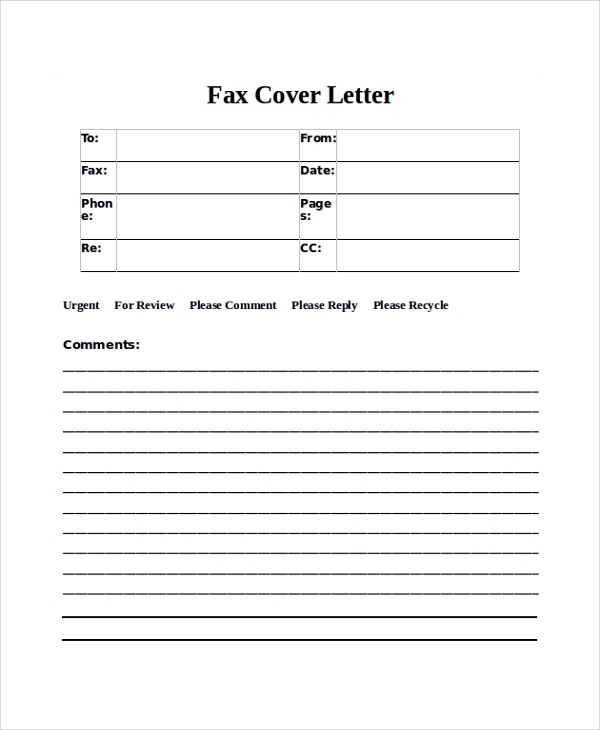 The above-listed Fax Cover Letter templates are tailor-made for different situations and types of faxes. They have all the necessary fields and spaces to write notes and comments. They are fully editable, and they can also be printed out for using them in mailing letters as well. This is a fax cover letter to be sent with a resume of a candidate. A candidate can fax his resume upon the request or advertisement of a company, and this cover letter samples will help to write a perfect professional one-page cover letter. 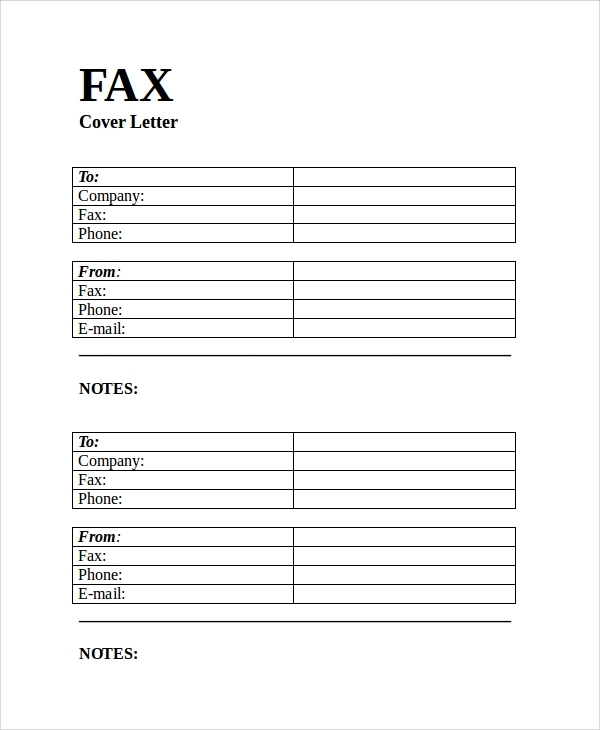 This is a general Fax Cover Letter Format that can be used for any purpose. It contains blank fields to write the details about the source and destination. It has multiple checkboxes to define the type of fax it is. Then it provides blank lines to write all the comments necessary. The targeted audiences for the Fax Cover Letters are all those people who need to send fax occasionally or regularly. Most of the official places such as government offices or company offices ask for faxes to get data and information. 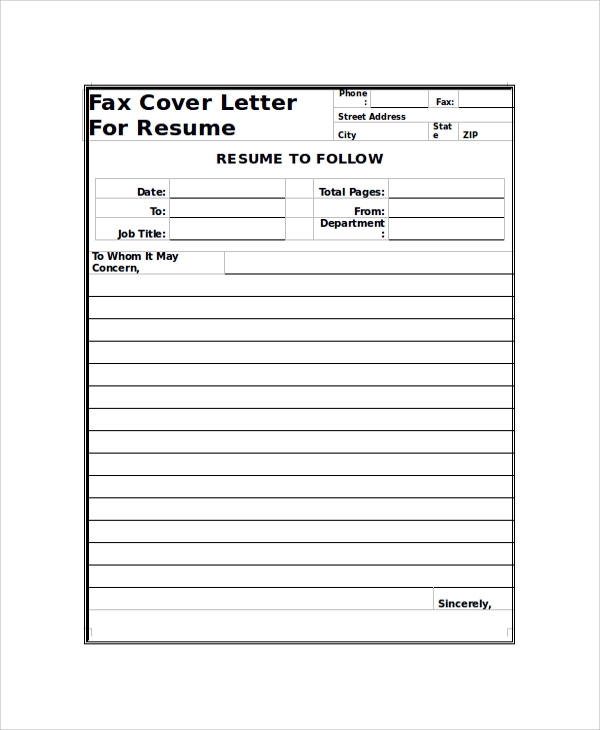 Students and professionals need to send resume through faxes and need cover letters for that. 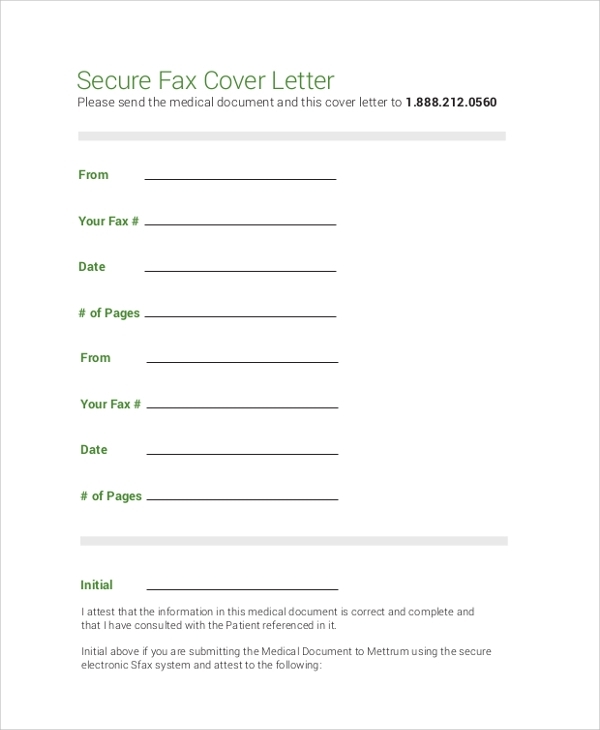 While claiming insurance, the applicant has to fax cover letter with necessary information and notes. 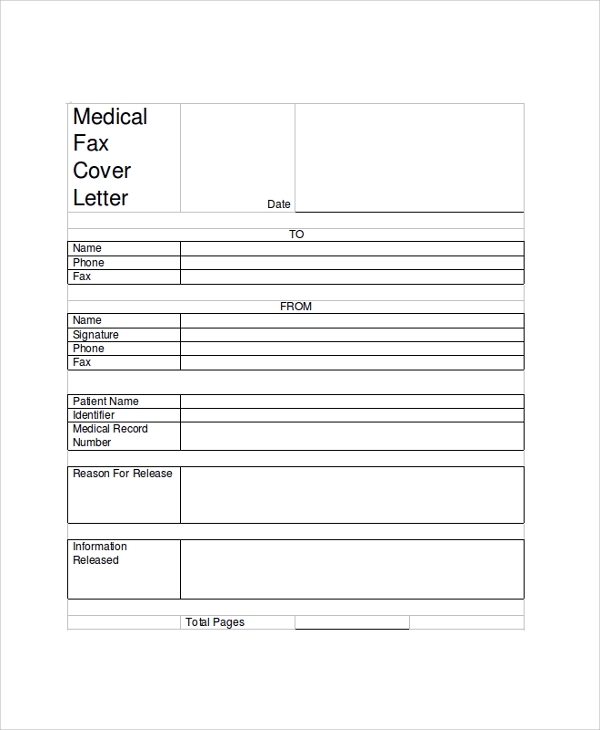 Similarly, higher authorities need to send medical data or secret information to hospitals or other places as per the requirement with a fax cover letter. 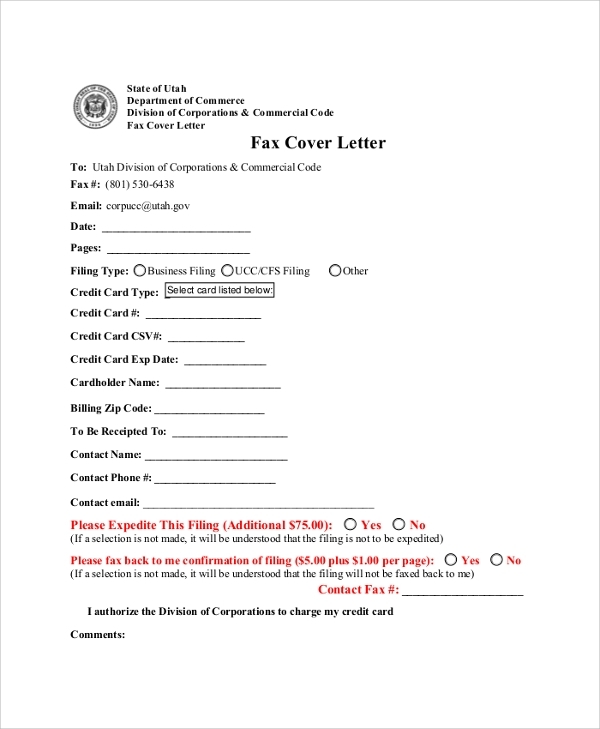 The above-listed fax cover letter templates have the perfect format, and all one need to do is fill them up and send them with the data and documents via fax. There are fax cover letters for a resume to apply for a job, for sending medical data from a company to a hospital, to send confidential faxes with secret information, to claim insurance policies and much more. You may also see the Sample Fax Cover Pages.